Ahead of its national convention scheduled for May 21 in Port Harcourt, Rivers State, the Peoples Democratic Party (PDP) has chosen the host governor, Nyesom Wike, to lead the convention committee that will organise the event. THISDAY also gathered that the leadership of the party has already compiled the list of members of the four committees as approved by the National Executive Committee (NEC) meeting in preparation for the convention and will be unveiling them this week. The committees are national convention committee, reconciliation committee, zoning committee and finance committee. It was learnt that the party has already began to contact all those that are to serve in the various committees by sending out their invitations for the formal inauguration some time within the week. 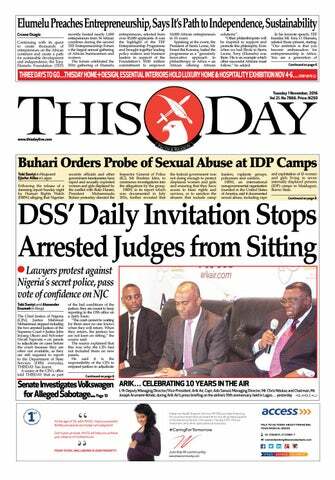 A highly reliable source at the national secretariat of the PDP told THISDAY at the weekend that the committee members had been carefully selected to ensure that they give their best in their assignment. “I can confidently confirm to you that within the next 48 hours the list of members of the committees will be out. The committees have been formed and details of it will be made known this week. What has happened was that the chairman has been making wide consultations across the country. “All organs of the party and nearly all important stakeholders of the party were being consulted so that we will have an all encompassing and acceptable committees,” he said. The source said the National Chairman, Senator Ali Modu Sheriff, has been criss-crossing various zones of the country in an effort to interface with critical stakeholders of the party so as ensure that they emerge a formidable force after the national convention. 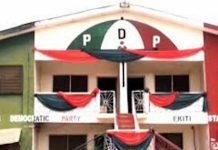 The 69th NEC meeting of the PDP had approved a time-table for the party’s congresses to commence on Saturday, April 23 and to culminate in the National Convention on Saturday, May 21. The communique signed by the National Chairman, and National Secretary, Prof. Adewale Oladipo, also said NEC has approved the setting up of four special committees to prepare for the national convention. The NEC meeting also approved guidelines for congresses and the national convention, including the venue of the convention in Port Harcourt, Rivers State. Many individuals and groups in the PDP had kicked against the continued delay in forming the committees to prepare for the May convention, including the Board of Trustees (BoT) and an influential pressure group, PDP Rescue Group. Both groups have insisted that the current leadership of the party must step down in May to allow new national officers to emerge during the national convention. 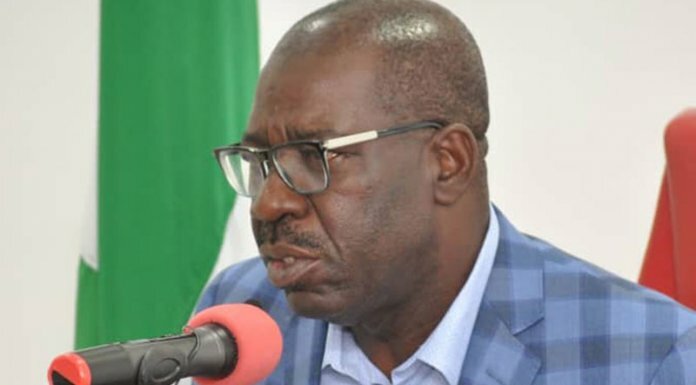 The PDP Rescue Group made up of some ex-governors, ministers and legislators said since the Ekweremadu Committee’s recommendation zoning the 2019 presidential ticket to the North, it is suggestive that the chairmanship of the party moves to the south in line with the zoning rotation tradition of the Party. In their position contained in a statement jointly signed by the Chairman, Ambassador Wilberforce Juta and Secretary, Mr. Muktar Shagari, last Friday, the group urged Sheriff to immediately set up the approved four committees ahead of the party’s congresses and national convention. 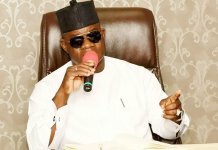 It stated that the advice became necessary following the failure of Sheriff to constitute the committees as approved by the organs of the PDP barely few weeks to the date of the party’s congresses. 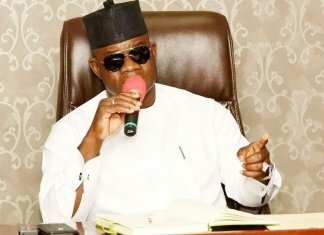 On its part, the BoT warned of the ugly consequences of any attempt by Sheriff to manipulate things and possibly seek to reverse the recommendations of the Senator Ike Ekwerenmadu Post Election Panel to zone presidency to the North. The acting Chairman of the BoT, Senator Walid Jibrin, while expressing their concern, said recent courtesy calls and presentations to the national chairman by some praise singers urging him to continue beyond the stipulated three months tenure is an invitation to trouble, anarchy and the return of impunity in PDP. 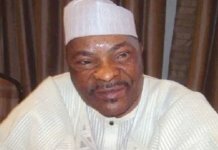 “I want to offer some advice to PDP National chairman on the consequences of the evil machinations of praise singers and prophets of doom on the unanimous approval of the PDP Governors’ Forum, national causes, BoT and the NEC terminating his tenure and that of the NWC on May 21, 2016,” he said. Meanwhile, in line with the decision of the National Executive Committee (NEC) of the party, Sheriff has constituted the four special committees in preparation for the party’s national convention and the overall rebuilding and repositioning of the party. The committees, which are to be inaugurated on Tuesday April 5, are the National Convention Committee, Reconciliation Committee, Zoning Committee and the Finance Committee. In a statement issued by the National Publicity Secretary, Chief Olisa Metuh, the party said that the national convention committee will be headed by Wike as Chairman, while the Taraba State Governor, Dairus Ishiaku, is to serve as Deputy Chairman and the Governor of Ebonyi State, Governor Dave Umahi as Secretary. Similarly, the Reconciliation Committee has Bayelsa State Governor Seriake Dickson as Chairman and Senator Ibrahim Mantu as Deputy Chairman while the Finance Committee has Gombe State Governor Ibrahim Dankwambo as Chairman and Senator Godswill Akpabio as Deputy Chairman. In the same vein, the Zoning Committee has Akwa-Ibom State Governor Emmanuel Udom as Chairman and Kelechi Igwe as Secretary. The committees will be inaugurated by the National Chairman of the party, Sheriff in a ceremony on Tuesday, April 5, 2016 at the national secretariat of the party at 2p.m. prompt.